After spending 5 days in Singapore, we moved on to our final city, Penang. By that time, my stomach had fully recovered and my appetite had come back. 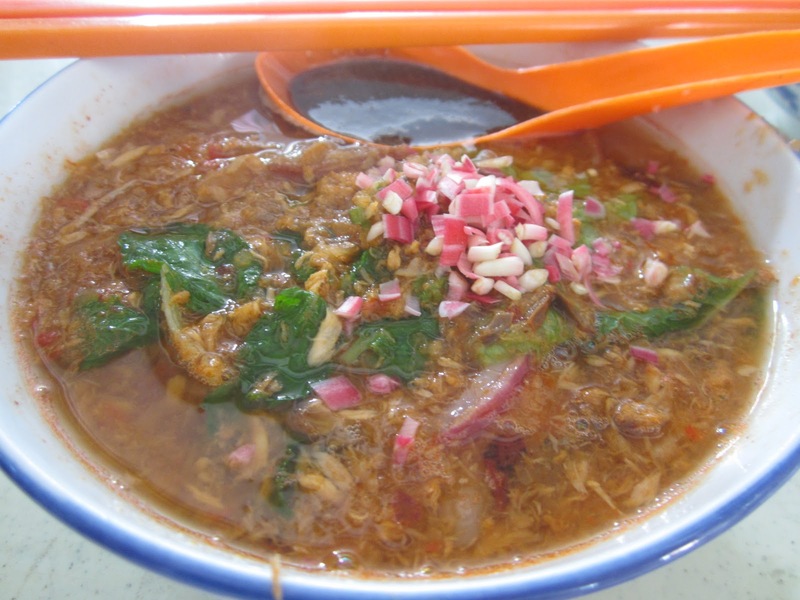 Penang Island is located in the northwest of Malaysia which is well-known for its hawker food. It’s a food heaven for many, and for me, it was a cure for my lost appetite! I was so glad that I finally got to eat the food I have been craving for over 3 years. Yes, that was how long since I last step foot in Penang. This is a sour, fish-based soup with thick rice noodle and garnished with mint, pineapple, red onion, bunga kantan (ginger flower bud), chilli and prawn paste. With the right balance of sour, sweet and spicy flavour, it is definitely very appetising. This is a local fruit salad with thick sauce and crushed peanuts. 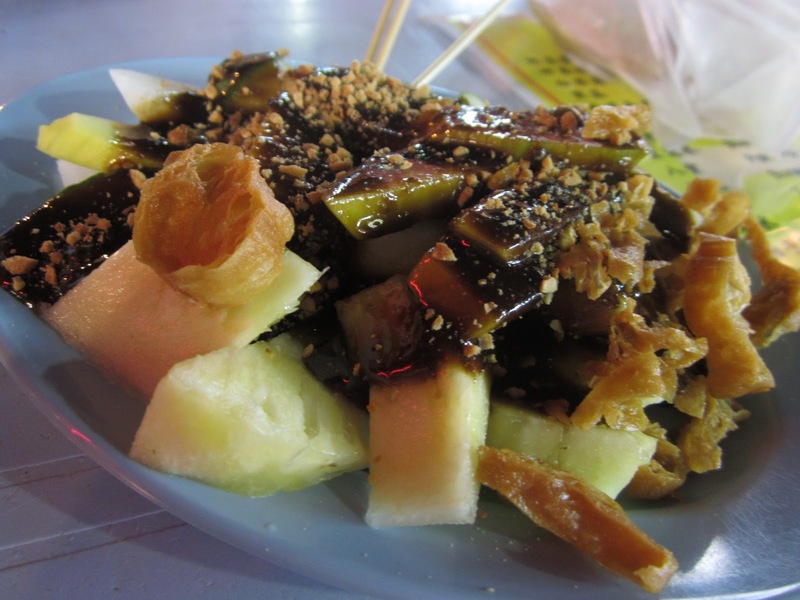 The combination of sour and sweet fruit is used in Rojak, which makes it very appetising. I had 2 plates of this on my first meal in Penang, which showed how much I enjoyed it. 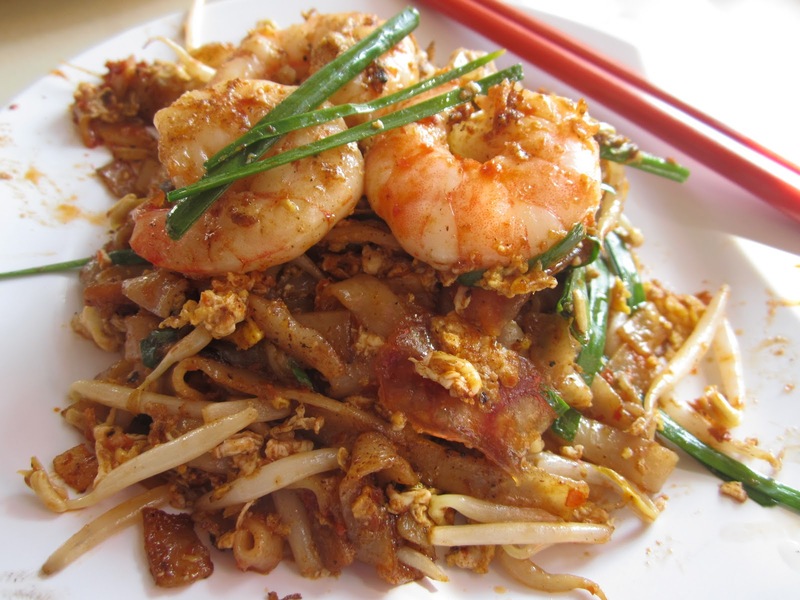 This is another famous Penang dish – flat rice noodles stir fried with pork fat, eggs, bean sprouts, Chinese sausage, chilli, prawns and cockles. The place we went to in Lorong Selamat charges RM7.50 per plate, which is double of what you would normally pay elsewhere. However, theirs came with big, juicy prawns and you have to be prepared to wait at least half an hour for your food. Famous, expensive, but tasted good!